In this week’s episode of Weight Loss Wednesday I’m talk to you about packing lunches and portion control. At home it’s easier to control the portion sizes because of smaller plates I use as I mentioned in last week’s Episode #4. If you go to school or work and pack your lunch then you’ll want to watch this video to learn some tips on what I do to pack my husband’s lunch for work, my lunch for picnics or my son’s lunch when he goes to day camp. 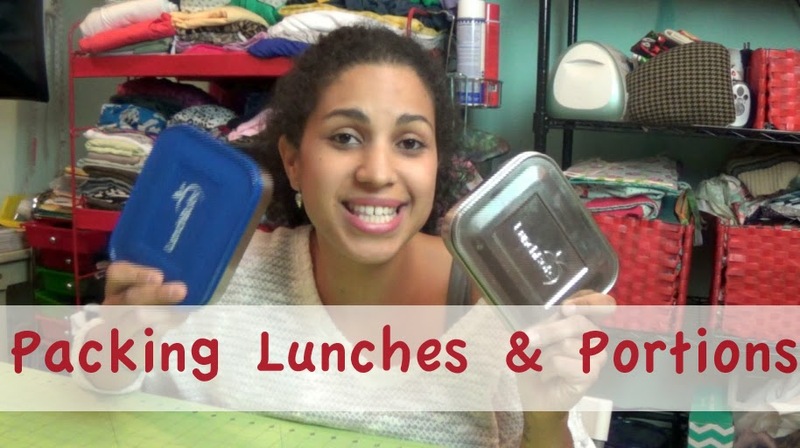 In the video I tell you all about our favorite containers for packing our lunches. They are our favorite for a lot of different reasons- stainless steel, no plastic anywhere, non-toxic, reusable, easy to wash, and best of all the perfect portion size for us! The containers are called Lunch Bots. You can click the image below to check out the full variety of stainless steel containers they offer. The two sizes we currently have are the Uno and Trio. I need to order one of the sets they sell to add a few more containers to our collection and save some money. It’s less expensive if you purchase a set. I like having the variety of different compartment when I need them. It allows me the flexibility to pack messier meals more comfortably by separating the different components. Plus we have been known to fight over these in my house! Click to watch Weight Loss Wednesday Episode #5 here! Click to pull up the full list of all my Weight Loss Wednesday videos HERE.